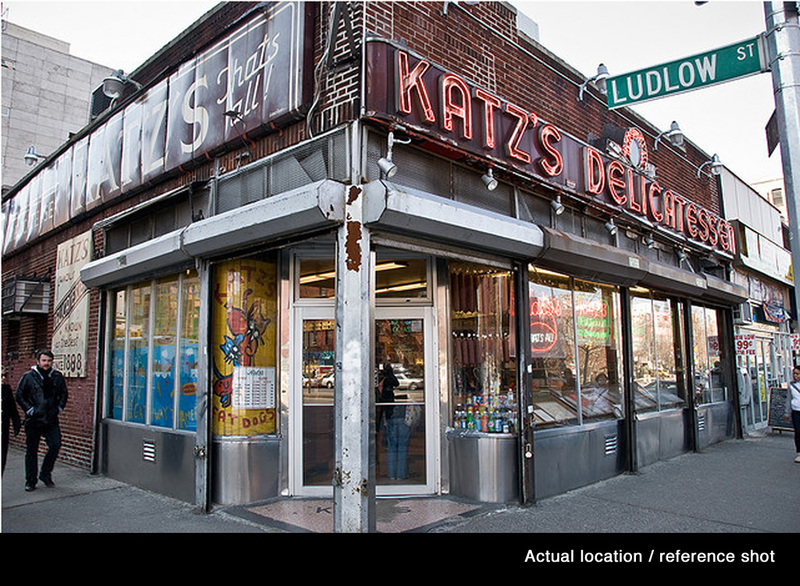 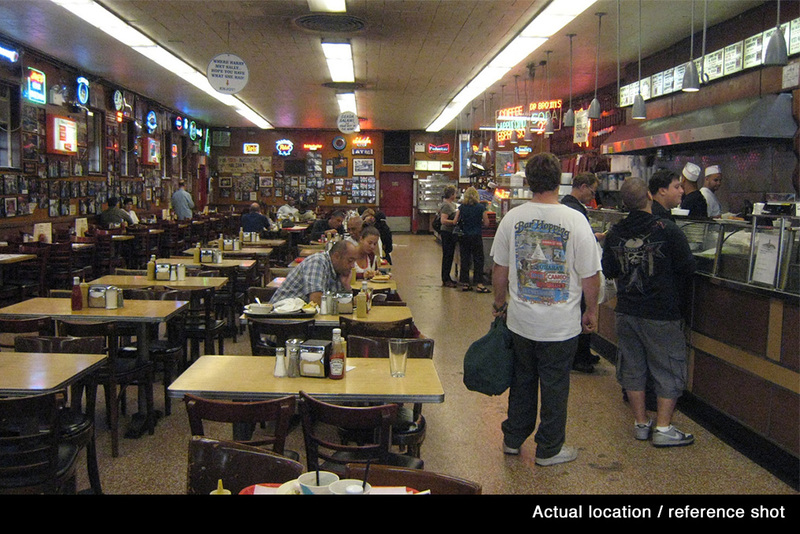 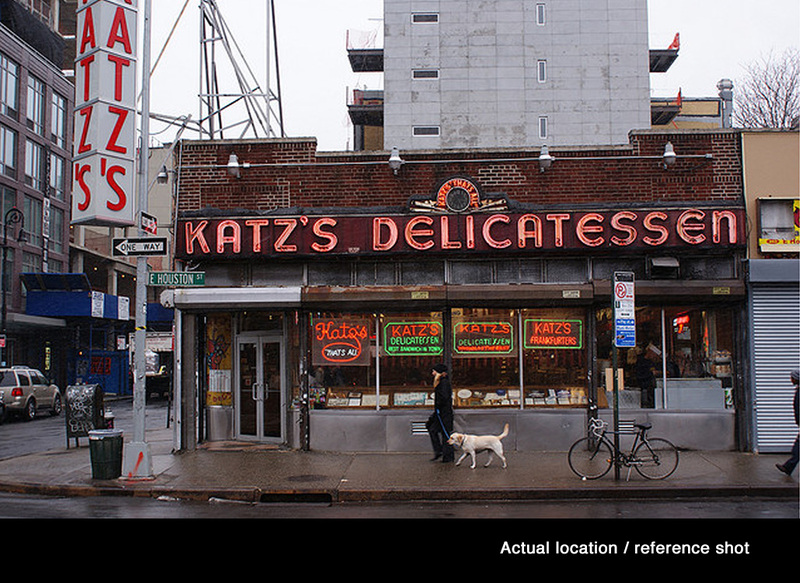 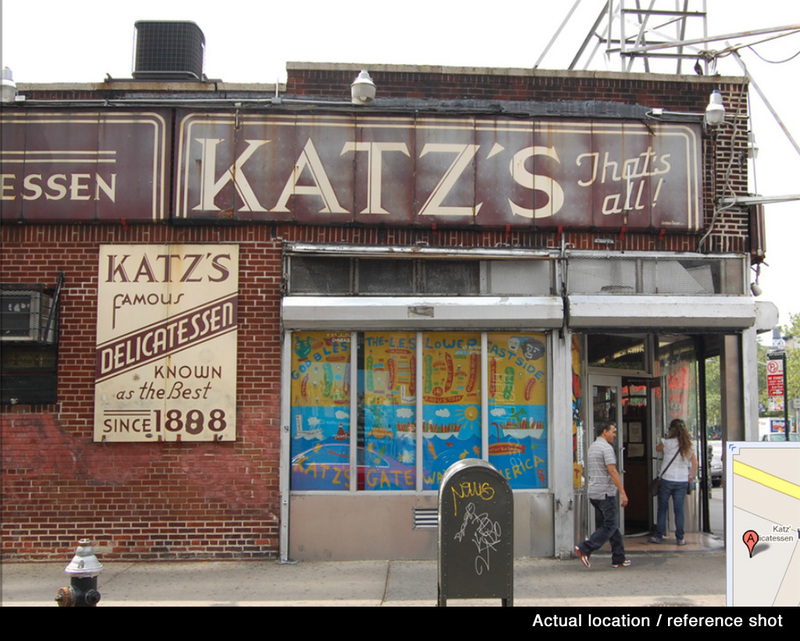 Katz’s Delicatessen is one of those legendary New York locations. 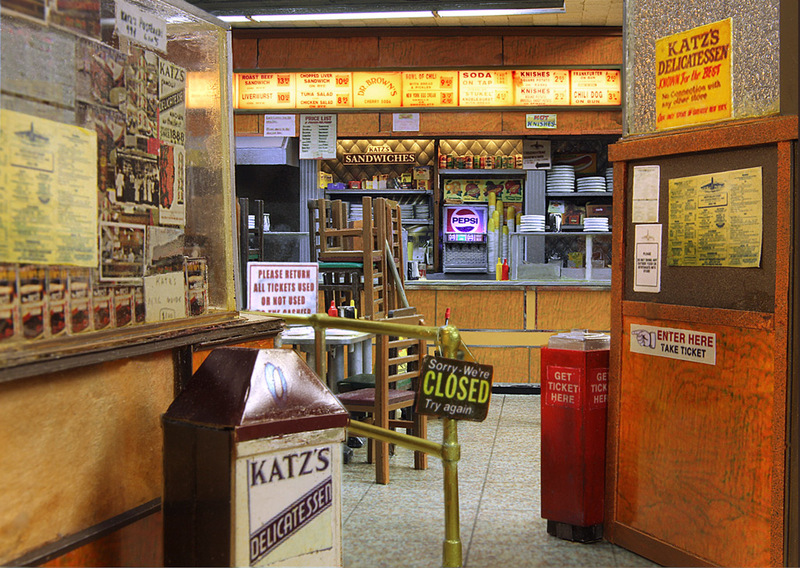 It’s been in business on the lower east side of Manhattan since 1888, and is New York’s oldest deli. 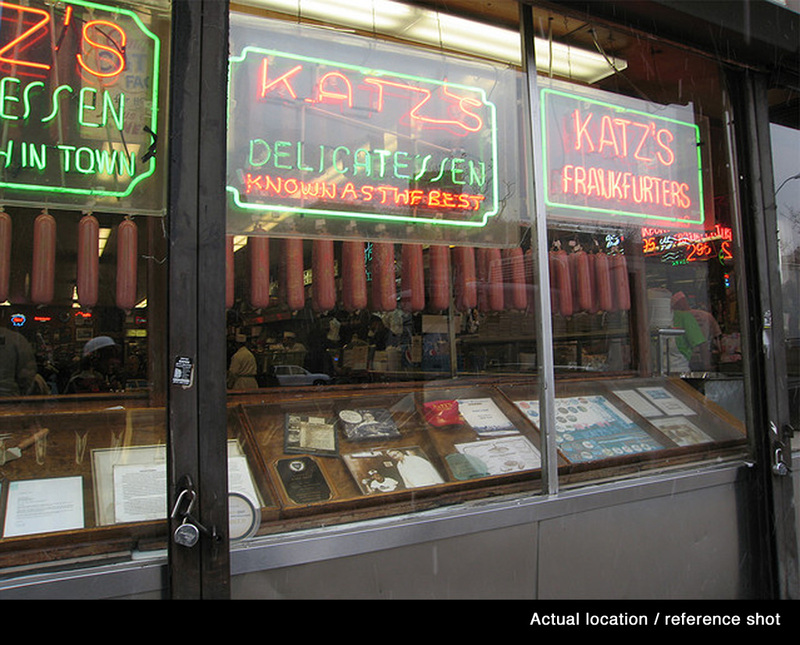 Telling someone to “meet me at Katz’s..,” is almost the same as telling them to meet you under the clock in Grand Central - everyone knows where it is. 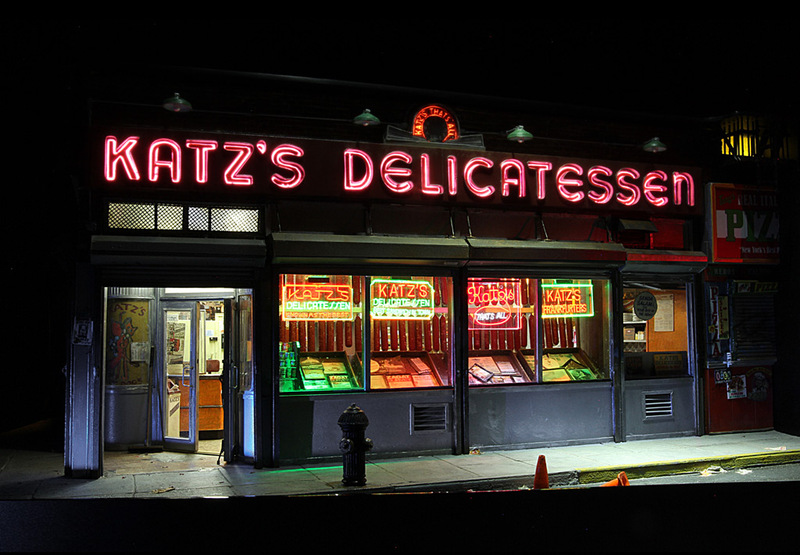 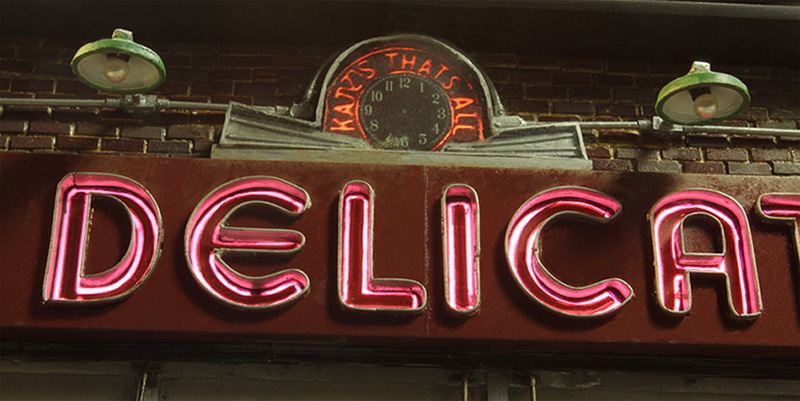 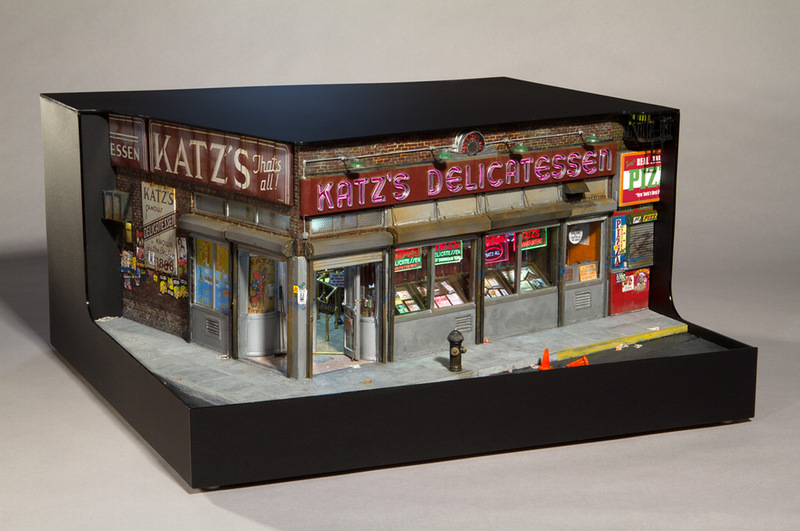 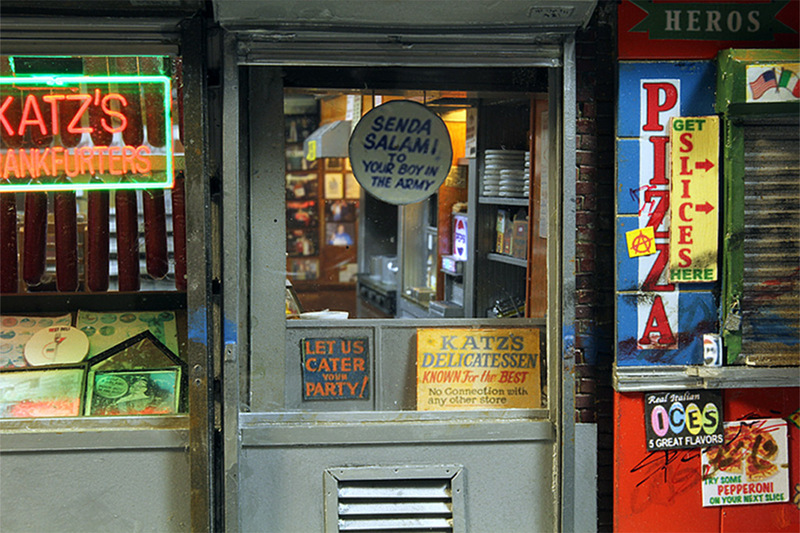 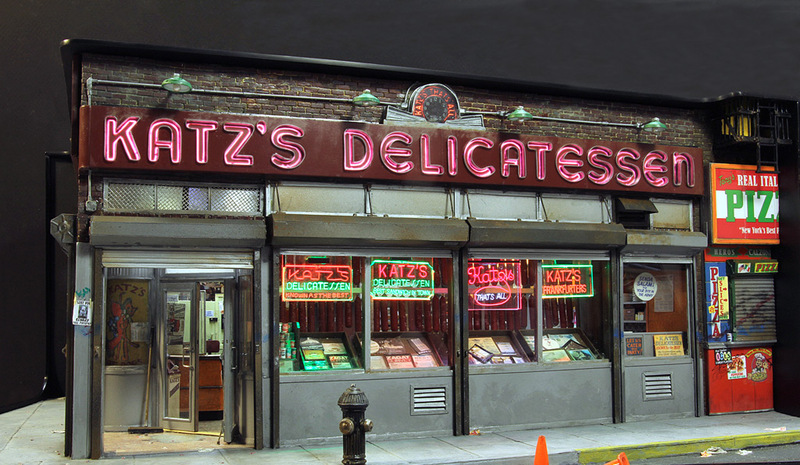 The collector who commissioned the piece no longer lives in the city and wanted something that reminded him of the many times, when he was a boy, that he and his family had eaten at Katz’s. 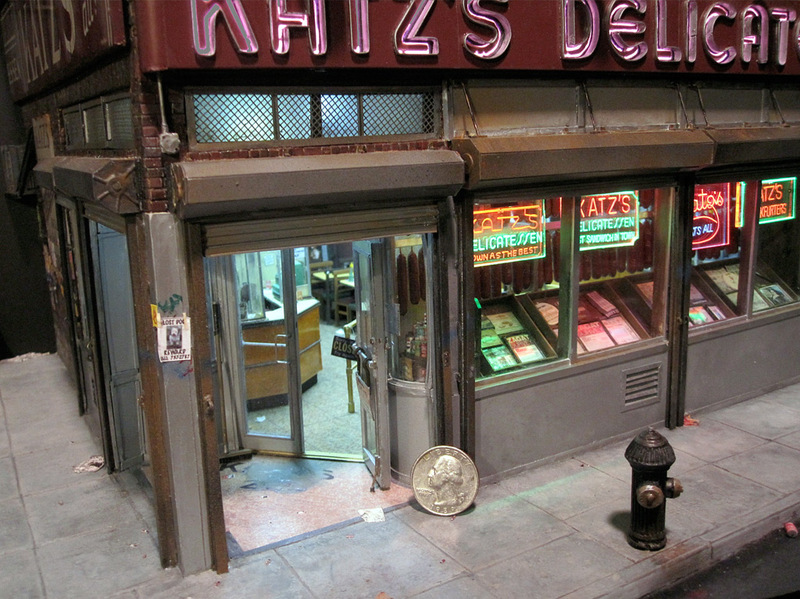 Part of the challenge in building this piece was to come up with a narrative that was believable. 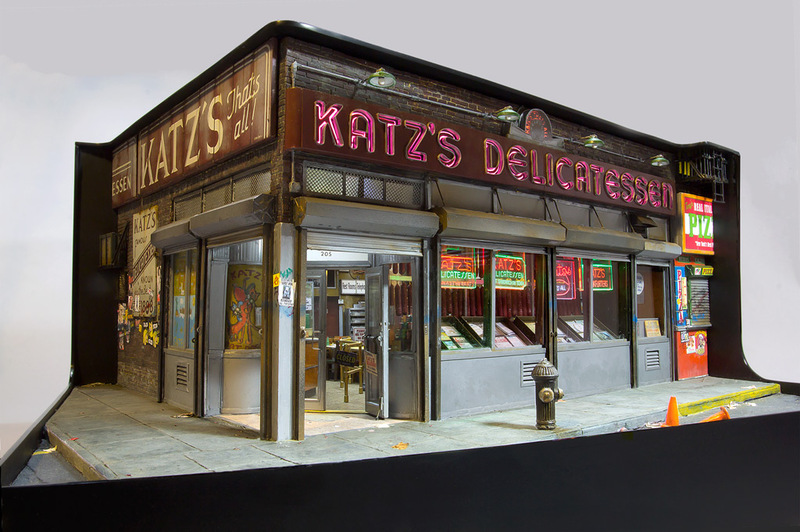 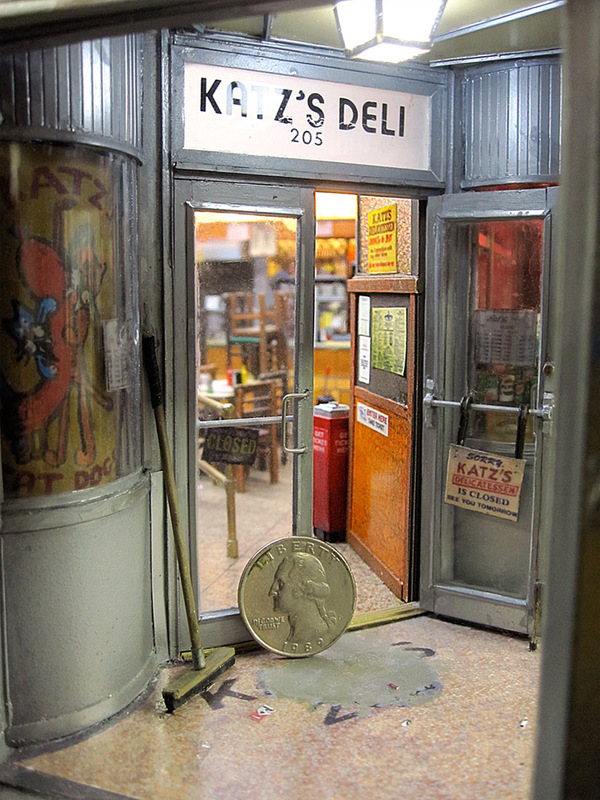 Since I don’t put miniature people in my pieces how could I justify that a restaurant that is always crowded had no customers lining up for their world famous pastrami sandwiches? 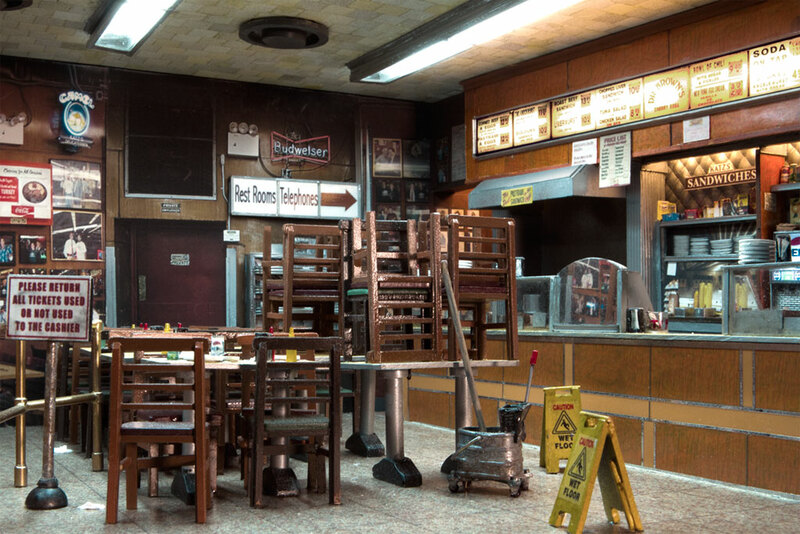 I decided to create a scene that takes place right after closing time, during the cleanup. 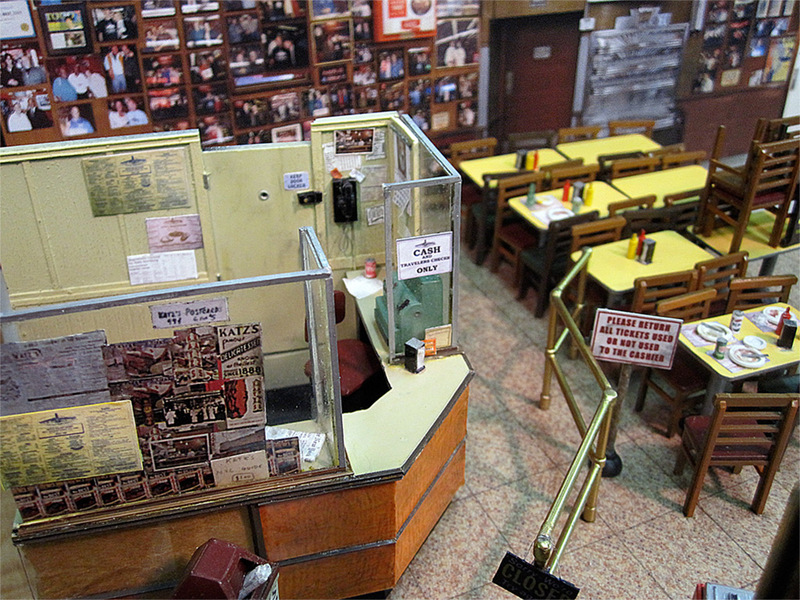 Dirty plates are waiting to be removed, chairs are stacked on the tables and mops and buckets are at the ready. 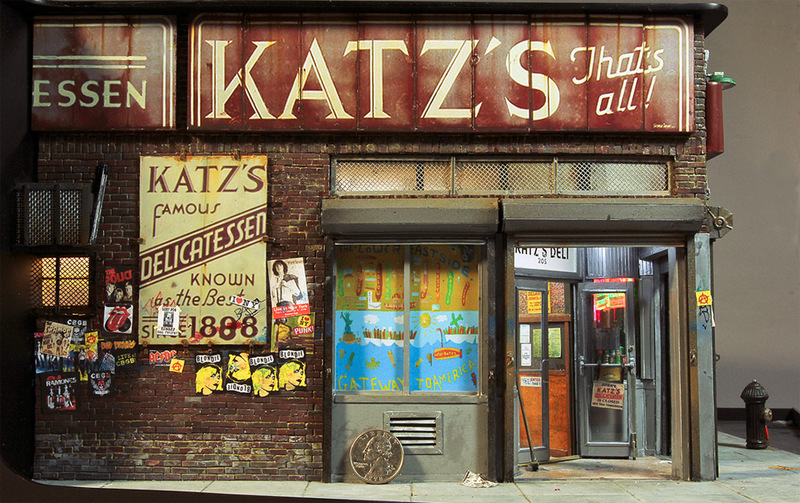 Since most of my work is staged in the 1970s and 80s I was able to create an homage, on the exterior wall, to the rock groups and punk rockers that were so prevalent on the Lower East Side during that time.